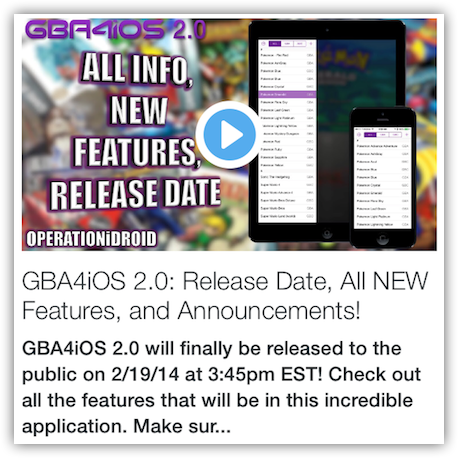 GBA4iOS 2.0 will finally be released to the public on 2/19/14 at 3:45pm EST! Check out all the features that will be in this incredible application. Make sure to subscribe to be the first to know how to get GBA4iOS 2.0 :) Thank you and Enjoy! 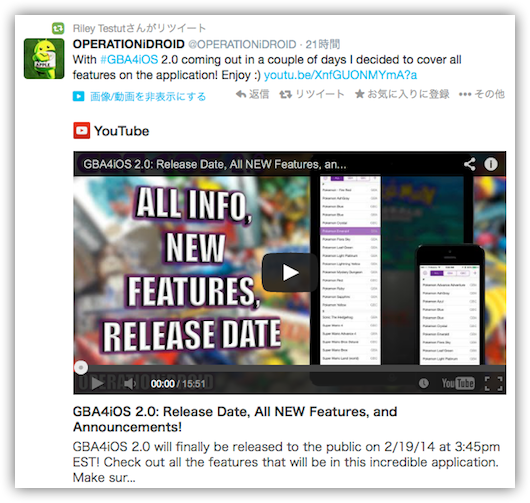 ▶ GBA4iOS 2.0: Release Date, All NEW Features, and Announcements!